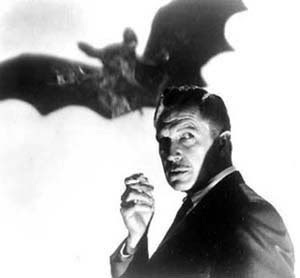 Most people remember Vincent Price from his vocation as an actor. But, for some of us, he may be as well known for his avocation as a cook. With his wife, Mary, Price traveled the globe visiting the finest restaurants in the world. In 1965, they gathered recipes from many of their favorite restaurants as well as some favorite family recipes and created a notable cookbook. 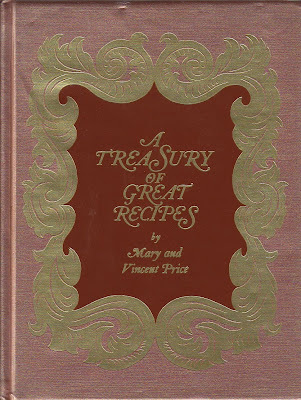 A Treasury of Great Recipes by Mary and Vincent Price is a large, unmistakable tome in its padded leatherette cover. 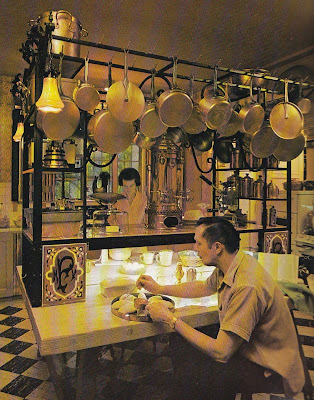 In addition to the recipes, there are menus and photographs from many of the restaurants. One of the Price’s favorite haunts in Chicago was The Pump Room, founded in 1938, it is still going strong. When the Price's ate there, The Pump Room featured a plaque and a dessert bearing the name of the fabulous Gertrude Lawrence. Lawrence was in Chicago doing a play in 1938 and she went to The Pump Room every night of the 90-day run, firmly establishing its caché. “the sauce is very much in the tradition of The Pump Room’s cuisine – it is an interesting combination of flavors, and it flames, almost a prerequisite for appearing on their menu." Put: a scoop of vanilla ice cream into each of four bowls or coupe glasses. In a chafing dish put: 3 tablespoons grated orange rind. Stir in pan to heat, then add: 4 tablespoons Jamaican Rum and ignite. While flame is burning add 4 tablespoons of the chocolate sauce. Pour over ice cream and serve. If you missed Gertrude Lawrence's 1938 performance on the stage, don't despair. Here is a little snippet of what she sounded like. Someone To Watch Over Me -- Gertrude Lawrence. Vincent Price was also an innovator by recording a “cookbook” Here is one of his recipes. As unusual, our Famous Food Friday post was stolen by Cookbook Of The Day.